Jimmy Graham (TE, SEA) - he is fully healthy and getting used and targeted by Russell Wilson. He will be a strong TE going forward. 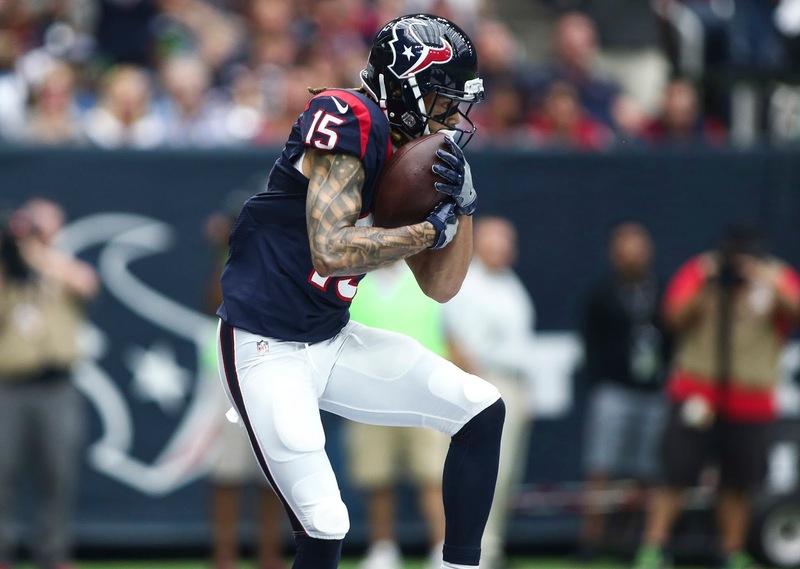 Will Fuller (WR, HOU) - he is getting his looks and is a bye-week PPR league WR to grab. Jordan Howard (RB, CHI) - the Chicago offense is not that great but if you are in a PPR league and in need of a RB then look to Howard as Chicago will keep using him. Terrance West (RB, BAL) - Justin Forsett didn't play and was sat; West is now the starter and will be used by Baltimore. He is a bye-week only RB at this point. Steve Smith (WR, BAL) - he was on this list last week, so assuming he would be picked up already, but Smith is a nice PPR bye-week filler. Bilal Powell (RB, NYJ) - Powell is getting a bit more work in New York especially in the pass game. The Jets will still use Forte for sure, so Powell is a bit more boom and bust so start with caution. Quincy Enunwa (WR, NYJ) - as long as Eric Decker is out then Enunwa is a nice spot-starter. Theo Riddick (RB, DET) - if Washington misses time then Riddick will be getting more work. He is boom or bust for sure, but a RB to consider. Robert Woods (WR, BUF) - WR's from Buffalo are nothing to get too excited about, but Woods will get catches as long as Sammy Watkins is out. Terrance Williams (WR, DAL) - only worth spot-starting when Dez Bryant misses games. Hunter Henry (TE, SD) - if anything he could be on your bench for depth; he is getting lots of looks from Rivers and becomes a more consistent PPR TE. Carson Wentz (QB, PHI) - he has been hot with the Eagles and at this point could be considered for the bye-weeks. Fozzy Whittaker (RB, CAR) - if you are in a PPR league then look at Whittaker as Cam and Anderson have no problem looking his way. Darren Sproles and Kenneth Smallwood (RB, PHI) - assuming Ryan Matthews misses some time then look for Sproles and Smallwood to get the start. Sproles is to be considered in PPR leagues and Smallwood for TD leagues. Kenneth Dixon (RB, BAL) - he will be returning next week and should mix in a bit, but expect West to get the lion share of work, but keep a close eye on Dixon. CJ Spiller (RB, SEA) - until Rawls returns Spiller will be used in the pass game so only PPR league owners apply.